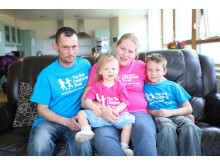 Without the charity’s help, finding a way to keep our family together would’ve been incredibly hard. 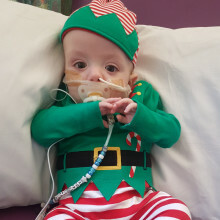 Harvey is looking forward to celebrating his first Christmas with his parents at home after a traumatic start to life. 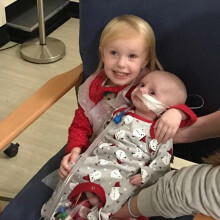 Emily and Chris, from Upper Cambourne, share their story in support of The Sick Children's Trust's Christmas Appeal. 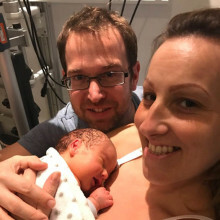 Mum Stacey wasn't able to spend Christmas Day with her newborn daughter Olivia, but thanks to Scott House, Olivia's Dad was with her, ensuring that she didn't wake up on her first Christmas morning alone. We can’t wait to celebrate a worry free Christmas with the twins this year, excited that in just a few months they will be welcoming their new baby brother or sister into the world! 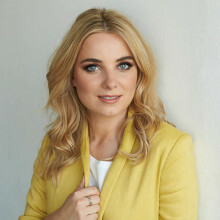 Heart Radio DJ Sian Welby is backing The Sick Children's Trust's Christmas appeal. 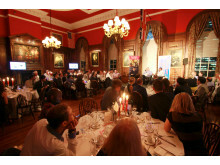 Read what she's got to say here. 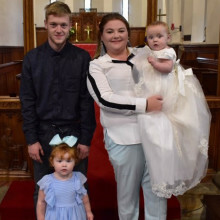 Paul Foster talks about his experience of spending Christmas at his daughter's hospital bedside when at just three months old she needed major heart surgery. 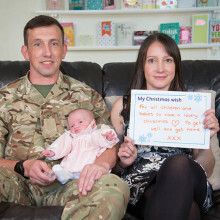 Read his story and watch 'My Christmas Wish' to find out the impact our 'Home from Home' had on his family. 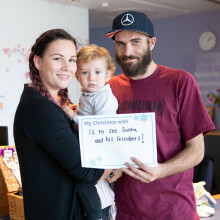 Mum Tina shares her experience of what its like to have a child in hospital over Christmas as part of our appeal. 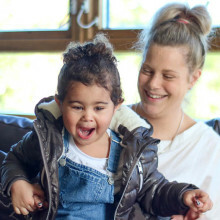 It costs £13,230 for us to run our ten 'Homes from Home' over the Christmas period to support families like Tina and Noah.